Cryptocurrency regulation continues to be in the spotlight and for the last 24 hours, the price of cryptocurrencies had been heavily under pressure. On March 7th, Bitcoin dropped by approximately 8%, Ethereum by 5% and all other major coins had been under pressure following new information related to regulation. Last week, the Bank of England stated the issue of regulation and now the attention is back in the United States and Russia. 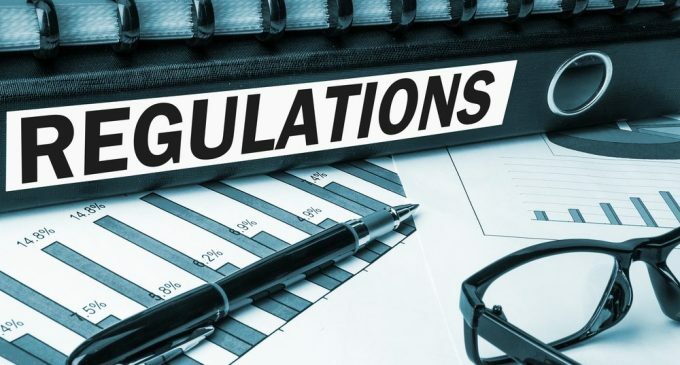 The Securities and Exchange Commission issued a new statement in which it warns against cryptocurrency exchanges that do not comply with the laws that are in place. Unlicensed exchanges had been highlighted and for the long term, that should not be a bad thing. However, in the past few months, the price of cryptocurrencies had been influenced negatively by news related to regulation and the same happened now. The statement released by the SEC refers to cryptocurrencies and ICO as well, not just cryptocurrency exchanges. Since exchanges had faced tough situations in the past years, as the popularity of cryptocurrencies had increased, some of them got hacked and encountered many problems. According to Vladimir Putin, Russia is set to release a legislation for cryptocurrencies by July 1st 2018. The package had been named “Digital Assets Regulation Bill” and it had been mentioned in the press last year as well. The laws are highly anticipated by the digital currency community since Russia had taken many contradictory steps in the last few years. According to Cointelegraph, a court from St. Petersburg had annulled a law from July 2017 which was banning the distribution of educational material related to Bitcoin. Russian officials are also currently working on ICO legislation as well, a subject which created friction between the central bank and the ministry of finance, which seem to have contradictory opinions. This news is showing that the cryptocurrency regulation saga will come to an end this year and investors across the globe will know how the governments will approach digital assets. Until then, risks to the downside are expected to persist.